Takes a photo when laptop motion is detected. Is there a better alternative to Smart Sentry? Is Smart Sentry really the best app in Security category? Will Smart Sentry work good on macOS 10.13.4? 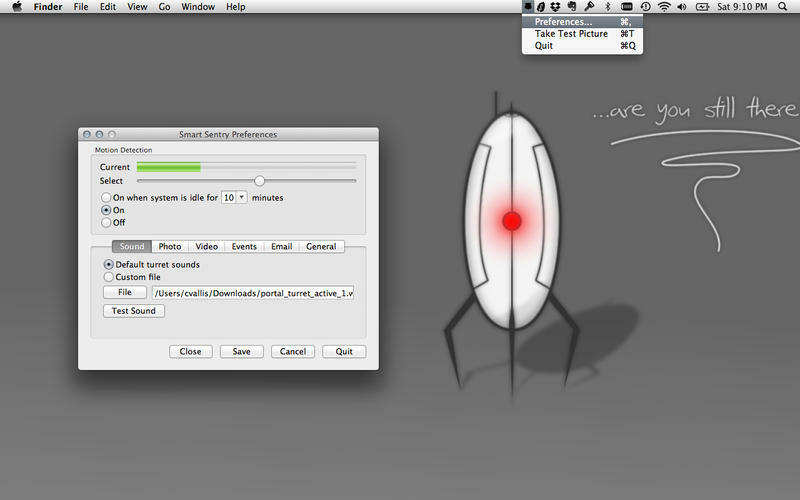 Smart Sentry takes a photo using the iSight or attached camera when laptop motion is detected and saves them to disk in the user selected folder. Then optionally send the photo as an email attachment or upload to DropBox. Add custom sound file when motion detection occurs. Now with Smart Awake to keep you system awake will the application is running. Gaussian filter on motion detection. Smart Sentry needs a review. Be the first to review this app and get the discussion started! Smart Sentry needs a rating. Be the first to rate this app and get the discussion started!